Welcome to the People’s Fridge! The People’s Fridge is London’s first community fridge: a public fridge where people can give and take spare food. 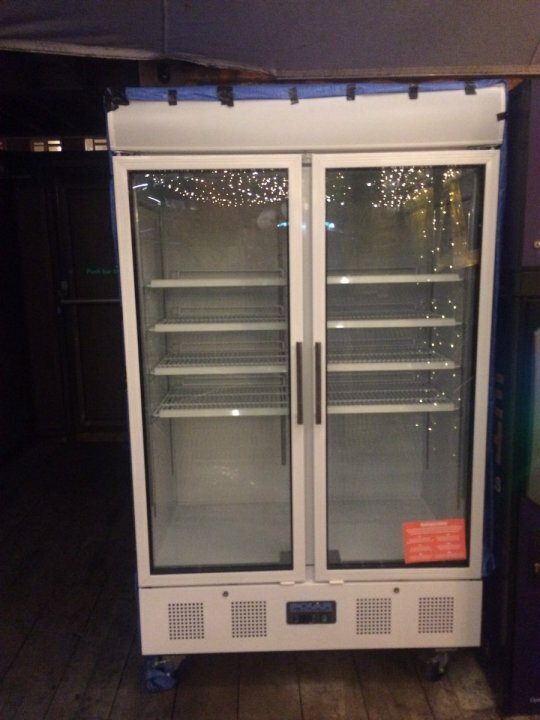 After successfully crowdfunding the money needed to kick start the project, the People’s Fridge has arrived! It is currently in a temporary location inside POP Brixton where we will be piloting it internally while the team await planning approval for its final destination on Pope’s Road. A soft launch is imminent but in the meantime do head to Brixton and see it in action! It’s a big fridge in the centre of Brixton where people and businesses can donate spare food, or food that would otherwise go to waste. Others can then go to the fridge to pick up what they want. It will be open on weekdays from 9am–8pm and at weekends from 9am-5pm. Everyone taking food will need to read and sign a disclaimer and then they can tuck right in! Only certified food traders can leave cooked food but everyone can leave other produce. How can you get involved in projects like this? Come along to Open Project Night, on every Monday from 6.30pm at Impact Hub Brixton. It’s a free space for everyone interested in Lambeth and community to come to network, work together, host meetings and make awesome projects happen. Posted on December 6, 2016 by thurlowparklabourTagged community, Food waste, hunger, Impact Hub, Open Project Night, People's Fridge, POP Brixton.